The hysterical reaction from some quarters to the election of a new Labour leader has been quite extraordinary. In his first week in post after an overwhelming victory, Jeremy Corbyn has been portrayed as ‘the most dangerous man in Britain’ by parts of the media. With much Labour policy still to be developed, the Conservatives have been quick to attack with the mantra that Labour now represents “a threat to our national security, our economic security and your family’s security”. Such scaremongering does them no credit. The general case for a National Education Service can be read in a previous post here. Education in England is far from functioning as a coherent system capable of achieving any of the aspirations we might have for it; whether for greater opportunities or greater equality for all. If we were to launch a national drive to make the best of what’s on offer available to all our citizens, this could be the centrepiece of a winning programme and education could find its ‘NHS moment’. 1. ‘It would represent a huge centralizing ‘power grab’ by the state’: Recent years have seen a big shift of power to the national state in order to impose curricula, changes to the status of schools and to prevent local authorities from opening new schools. Labour needs to show how its plans would shift power back to accountable local authorities to plan provision and respond to the needs of their areas. The national state should not try to micromanage education but it does need to use its powers to regulate the system to ensure quality and equality and protect the most vulnerable learners. Providers receiving public funding should be publicly accountable and we are entitled to ensure that our money is being spent in the public interest. This does not require a big bureaucratic state, but can be achieved by a small, smart and often local, democratic state. 2. ‘It would force ‘bog-standard’ uniformity and reduce choice’: The current patchwork of ‘57 varieties’ of school with different ways of sorting and segregating learners or offering curriculum specialisms creates confusion, narrows opportunity and institutionalises inequalities. A better planned system could enhance choice while aiming for a good school for everyone. Incentives which encourage some friendly competition between providers or areas to innovate and experiment would be entirely compatible with a national planning framework. Labour needs to show how a local, regional and national system based on schools with a single status working together could help us achieve excellence for all and respond to all our various educational needs much better than the chaotic market we currently have. 3. ‘It would reduce standards’: We need to try to establish a consensus about what ‘standards’ mean, but clearly we would want a national system to be highly focused on offering the best to everyone and to promote high expectations. We know that selection does not raise standards but generally concentrates privilege. Selective admissions are all about keeping people out and Labour needs to make the comprehensive case for opportunities and high standards for all; bringing people in. 4. ‘It would be prohibitively expensive’: While there is a good case for spending more on education, the creation of a national education system does not depend on it. Despite damaging cuts and austerity, there are plenty of examples of waste and duplication in the current landscape. Better co-ordination and collaborative planning can ensure that resources are used more efficiently rather than being wasted on competition. If people feel a real sense of ownership of the system, they will support the case for improvements and be prepared to vote for them. Labour now has the largest membership of any British political party and its members, whether new or long-standing, want to help shape policy. This is an exciting prospect and should be a broad and inclusive process of deliberation and refining, allowing plenty of time to put together a coherent and vote-winning alternative for 2020. We can only hope that as the dust settles on the leadership election, the idea of a National Education Service, like other policy proposals, can be fully developed and debated in a calm and considered way. This entry was posted in Education policy, Politics and tagged competition, comprehensive education, Education, Equality, Jeremy Corbyn, Labour party, marketisation, National Education Service, selection. Bookmark the permalink. The idea of a National Education Service (NES) is the most interesting and coherent attempt to grapple with the issue how to change our education system. For some years now, I have been arguing we need a National Campaign for Education (NCE) – modelled loosely on the 1963 NCE. I see the two things as being inextricably linked. We need the NCE debate to get the NES. 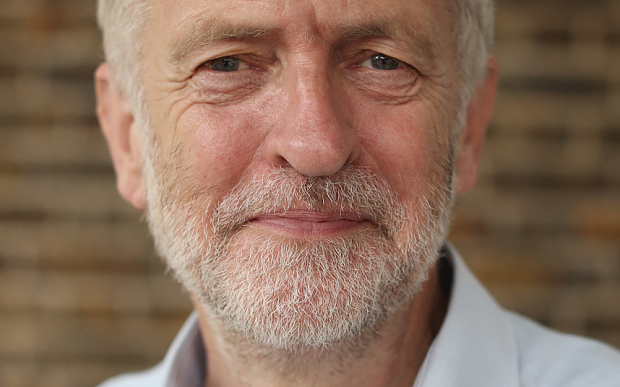 The energy of the Corbyn leadership campaign shows that new political ideas can invigorate a new generation. I hope all the different education campaigns can get together with the Corbyn movement to create that debate. Whilst Lucy Powell’s statement on bringing academies & free schools back under democratic control is a very welcome step in the right direction, we need to begin discussions on the next steps towards creating an NES.